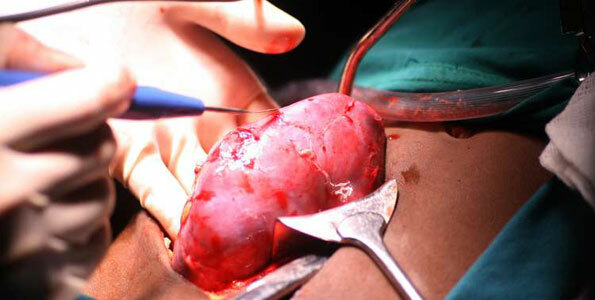 Have You Suffered Organ Failure From Botched Transplant? If you or a loved one has suffered organ failure due to the negligence of others, contact the Hawaii catastrophic injury lawyer Jed Kurzban. Blog⁄Have You Suffered Organ Failure From Botched Transplant? It is one of the most complicated and delicate medical procedures. Countless people throughout Hawaii depend on organ transplants for survival. Unfortunately, not all transplant operations are successful. It only takes one crucial mistake or a split-second of poor judgment by a surgeon to cause permanent physical damage or even death. Whether you or a loved one has suffered organ failure, it is crucial seek immediate legal representation from a Hawaii catastrophic injury lawyer. Due to the high-risk of organ transplants, these procedures often take significant time to take place. First, a perfect match must be made to successfully transfer an organ from the donor to the patient. Once a match has been confirmed, the surgeons and medical staff must prepare for just about any type of medical emergency. For example, many cases of organ failure in Hawaii are the result of side effects. Physicians and medical facilities can also be liable if they fail to warn the patient of possible risks from a specific organ transplant procedure. How can a Hawaii catastrophic injury lawyer help? Not all personal injury cases are the same in Hawaii. Catastrophic lawyers must represent patients with permanent and life-changing physical or mental issue due to the negligence of others. For more than 20 years, Jed Kurzban has successfully provided legal counsel for many men and women who were unable to speak for themselves. He utilizes an aggressive, yet compassionate, approach to help clients recover the settlement they deserve and to help place them in the position to live the best possible quality of life. If you or a loved one has suffered organ failure due to the negligence of others, contact the Hawaii catastrophic injury lawyer Jed Kurzban at the Law Offices of Kurzban Kurzban Tetzeli P.A. today.